Pelican Bay Services Division FY AJC_DISTRICTYEAR Final Assessment Roll | AJC Associates, Inc. The Pelican Bay Services Division (PBSD) is a Municipal Services Taxing and Benefit Unit governed by an eleven-member Board. This Board is elected by the majority of the resident property owners in Pelican Bay, and then straw-vote appointed by the Board of County Commissioners. The PBSD is a dependent district of the Collier County government. The PBSD utilizes the Collier County Tax Collector to collect its assessments each year. The annual assessment appears as one line in the non-ad valorem section of the property tax bill. The PBSD fiscal year is October 1st – September 30th. 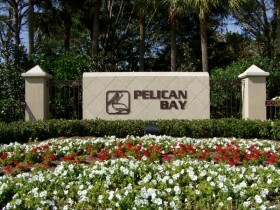 All Pelican Bay property owners pay for the operation and maintenance (O & M) of enhanced improvements through an annual assessment.